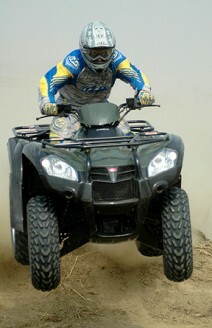 The MXU 500 4X4 is KYMCO's largest and most powerful quad to date. 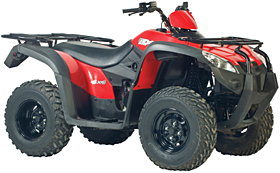 It features a 4-stroke, DOHC 499cc engine with shaft drive, CVT automatic transmission with forward, neutrel, reverse, park, low and high gear. 36 horsepower will get you into and out of any job. 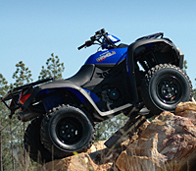 Disc brakes, front and rear racks, and a half-ton capacity towing hitch are all standard. 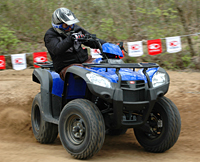 Larger 12-inch Kenda Pathfinder tires give this new, bigger KYMCO a substantial 10.2-inch average ground clearance.